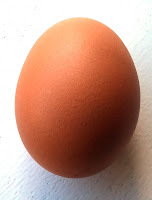 Weekend breakfasts can be a real danger black spot when trying to lose weight! This recipe is one of our weekend favourites that really fills you up and keeps you going till lunch. 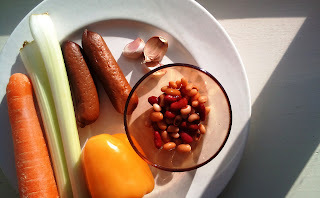 The dish is a good mix of carbs and lean protein. Research suggests this combination can keep hunger pangs at bay for longer than a sugary breakfast. 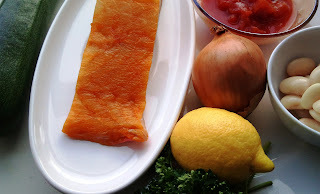 Smoked coley is a robust flavoured fish that goes great with tomato based sauces. Often available for a very reasonable price, I find it goes better when cooked in sauces, rather than just grilled on it's own. In this dish, the coley is combined with butter beans, onion, celery and courgette to form a delicious tomato based stew. The dish is topped with toasted breadcrumbs, parsley and lemon zest which really gives it a lift. I often think the dish has a faintly French feel to it, but I'm not sure why. You could also use smoked haddock or cod for this recipe. Vegetable Curry is another vegetarian option that has kept us going over the winter. This Indian style curry is delicately spiced and can be as hot or mild as you like. 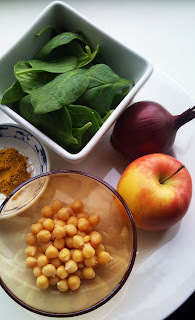 Onion, butternut squash and courgette form the base vegetables, while spinach and chick peas add contrasting texture. 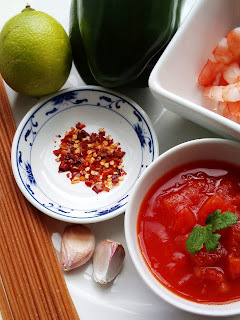 Prawns, spicy tomato and lime zest make a delicious combination served over warm pasta. This dish is a great midweek (or after pub!) 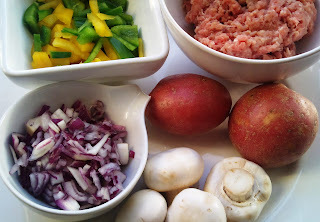 meal as it can be on the table in no time and is really easy to make, once you have everything chopped and ready to go. Timing wise, get the pasta on and after 2-3 minutes or so, get the sauce going. I am a committed carnivore! Or at least I was, before the weight loss. One of the biggest changes I've made to our menu is trying to have at least one vegetarian meal each week and we've pretty much stuck to it. 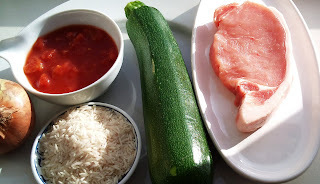 My approach was to make complete meals in their own right, rather than regular recipes omitting meat, where you feel slightly deprived while chomping through the veg. This recipe uses the great combo of butternut squash, peppers and red onion, slowly roasted together in delicious spices. It's great as a main course although I've served smaller portions as a starter to rave reviews. Another fantastic winter warmer. 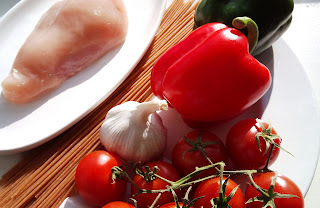 When trying to lose weight, it's better to eat more chicken and fish, but you can still enjoy beef in moderation. 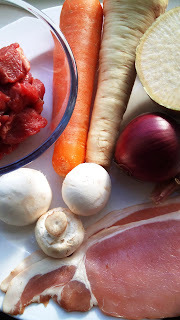 This dish is an old fashioned beef casserole with a stew-like consistency and is jammed packed with veg. There is a little bit of prep involved, so it might be a dish more suited to the weekend when you have bit more time to prepare. This weekend perhaps?! A low fat twist on the spicy bean and chorizo classic. The pepperoni I recommend for this dish is made by the German Salami Company. Their pepperoni or kabinosi would both work well. 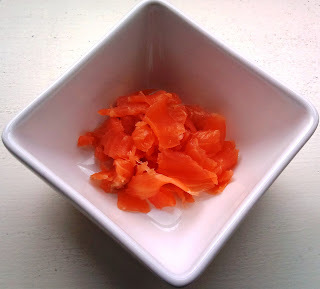 Both are very tasty, but contain very little fat and are ideal for this dish. If you can't get this, use other low fat salami or pepperoni, but it's worth hunting for! 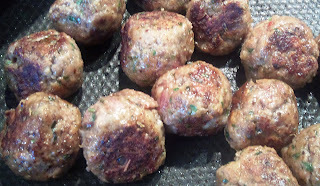 The second bout of meatball goodness! We go a little further east for this warm smoky dish that has been a regular fixture of our winter months. Caraway seeds and paprika are the main flavours that give this dish a light smoky taste which turns creamy when served with cooling natural yoghurt. Mushrooms, peppers and potato served in tomato broth form a perfect stew-like base for these spicy meatballs. Supper Satisfaction is not all about the supper! A decent breakfast is essential for good health in general and is even more important when you're trying to lose weight. 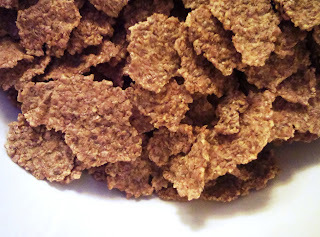 Bran flakes are a great choice as they are a whole grain food, that fills you up and keeps you full for longer. It also is a great source of fibre. 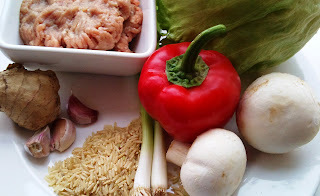 Tinned tuna is tasty lunchtime filler that can be teamed with lots of different things. I recommend going for tinned tuna steak, rather than flakes, as they tend to be less processed and generally contain less salt. 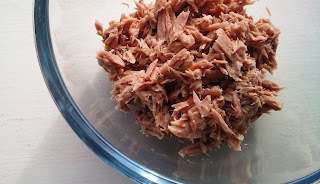 It's also much healthier to buy tuna in spring water or brine, rather than sunflower oil, but you still need to make sure it's well drained before eating. These chicken kebabs are a super-healthy, aromatic, tasty midweek dish. 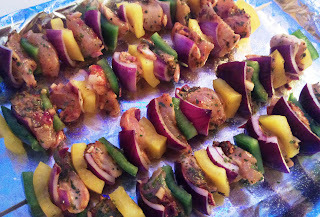 Onion, peppers and marinated chicken are combined then grilled/baked together. The chicken and peppers char gently when cooking to release a slight sweetness that's delicious. The skewers can be baked in the oven or grilled in a regular or slanted grill (like a George Forman or similar). This dish combines the complimentary flavours of lemon and coriander and it goes great with grilled meats and fish. Despite it's Italian pedigree, the dish is also great accompaniment to oriental foods. 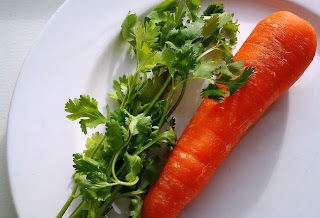 Another winter warmer classic combo of carrot and coriander! This soup uses both ground and fresh coriander to maximise the flavour. The dry coriander is available as seeds or as a ground powder. Both are suitable in this dish, but to get the most flavour, I recommend using seeds. Like the other soups I've posted, this is great served with a slice or two of Weight Watchers whole meal bread and a little low fat butter, or 2 slices of wheaten bread such as McCambridges. A couple of Ryvita crisp bread also go very well as an alternative. Another winter warmer ideal as a filling lunch or a nice starter as part of a larger meal. The soup calls for the classic combo of parsley and thyme. It's even better if you can get fresh herbs, but dried will work too. This soup is wonderful on a cold day and will heat you up in no time. 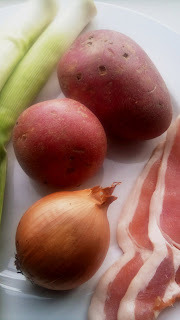 Bacon, leek, onion and potato combined gently with stock and milk, then blended to a creamy consistency. The soup is great served with a slice or two of Weight Watchers whole meal bread and a little low fat butter, or 2 slices of wheaten bread such as McCambridges. A couple of Ryvita crisp bread also go very well as an alternative. Smoked haddock is a dish we have every now and again, as it's on the pricey side. Any time I pass through Marks & Spencer, I briefly mooch at the fish shelves to see if they have any offers or reduced priced fish looking for a home. 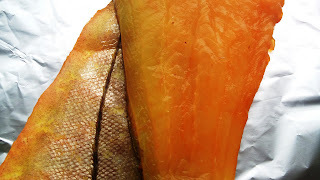 Smoked haddock is available in dyed or un-dyed varieties. 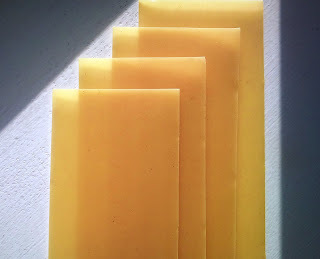 Many foodies always seem to encourage you buy un-dyed but I've never had any problem with the dyed and it's usually a little cheaper. The faint smokiness goes very well with creamier sauces and we always have it with pea & mushroom risotto. 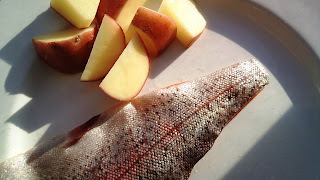 Rainbow trout is a delicate flavoured fish that doesn't taste 'fishy' or like the sea. (A colleague of mine only liked fish that didn't taste fishy!) This fish is simply floured and pan fried in no time, so it's a great midweek meal. It would also work well if entertaining, though I'd reduce the portion to one fillet per person if serving between a starter and dessert. This lasagne is a low fat twist on the old Italian recipe. Chicken, garlic and vegetables combined with both tomato and béchamel sauces to make a fantastic meal. I joke that making this dish is like having a part time job, but the effort is really worth it. Chips are something most people really miss when trying to lose weight. 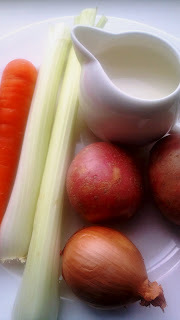 These wedges are a fantastic, lower fat option, that go great with a dollop of ketchup or mayo. They also go well with breaded fish like Donegal Catch. Mashed potato. There’s nothing more I can tell you about mashed potatoes other than this is the way I make them. 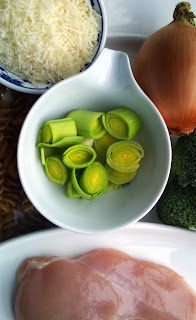 Noodles are still on the cards when losing weight, soba or buckwheat noodles that is. They cook in no time and are great with oriental dishes and spice. 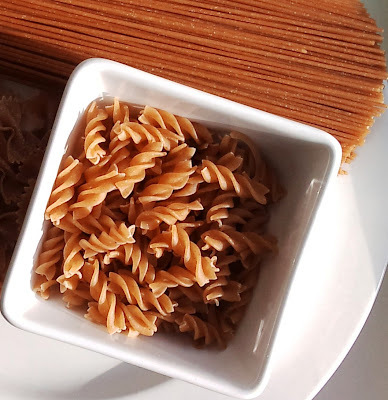 They taste just like regular noodles, but are much healthier and don't have any murky sachets to worry your weight loss. This risotto recipe is main dish in itself. Warm and spicy flavours await your taste-buds. Veg teamed with prawns and spices make this another great midweek meal. Don't forget to use your wide flat spoon/spatula to ensure the rice doesn’t stick to the base of the pot. Basic risotto is a great creamy dish and tastes like there's far more calories than there really is. People think that making risotto is difficult, but it's fine if you stay with it (it's only 20 minutes!) 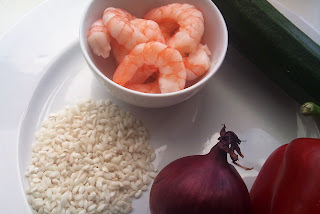 This basic risotto recipe goes well with prawns, fish or chicken. I've found out (the hard way!) it’s best to stir your risotto with a wide flat spoon/spatula to ensure the rice doesn’t stick to the base of the pot. There's one pictured in the Tips and Tricks section on the right hand side. (Go on click it, I'll wait). Following on from the basic risotto, this recipe takes it to the next level. This dish goes great with fish or chicken. It's warm and welcoming and is ready in less than 30 minutes. Don't forget it’s best to stir your risotto with a wide flat spoon/spatula to ensure the rice doesn’t stick to the base of the pot. Couscous is probably a bit of a mystery for most of us. It lurks in deli counters and in other people lunches. 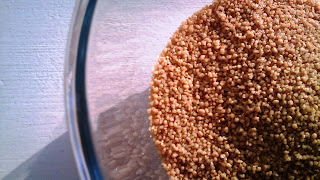 Whole wheat couscous is a great accompaniment to many dishes. 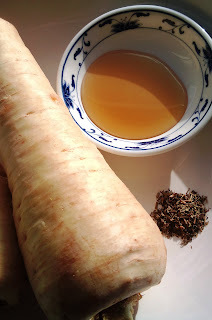 It soaks up the stock and fluffs up to make a great filling side dish. 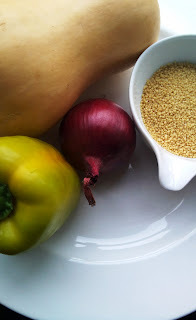 The best thing about couscous is that’s it’s prepared without cooking which is ideal for midweek meals. There's just nothing better than a bowl of rice. It's great with curries, stews and casseroles. When trying to lose weight, brown rice is the best option to go for. While it does take longer to cook, the benefits far outweigh the additional time and effort. I recommend adding a stock cube when cooking rice as it's a great way to get additional flavour into your meal.